I haven't fertilized them. 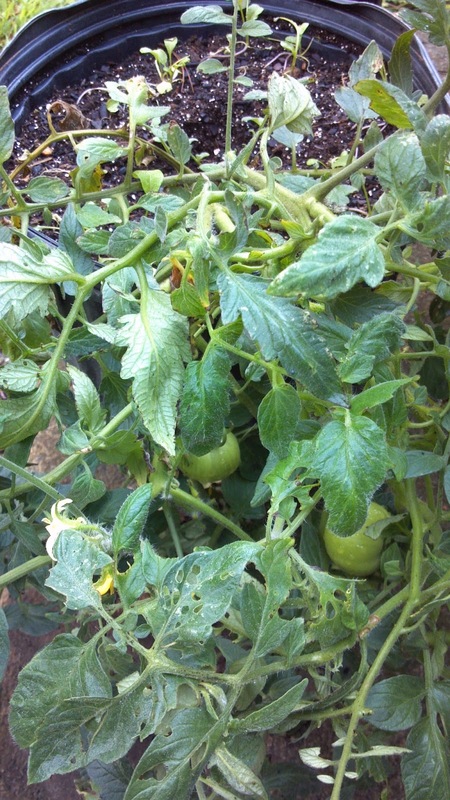 They shouldn't need any since I added the slow-release fertilizer into the soil when I planted them, but I can see they are hungry. It's nice to see it instead of hear it. If you have twins you know what I mean. In the pictures you will see the leaves are not vibrant green. Don't settle for less. When the leaves are not fresh, summertime green, the plant needs fertilizer. Usually nitrogen. These for sure need nitrogen because the oldest leaves on the bottom are yellow. We aren't spending more money on fertilizer. If you want to sprinkle another tablespoon of the slow-release into your squash, go right ahead! I would totally do that if these were my personal plants. Actually, if these were my personal plants, I would put a tablespoon of Ironite on them instead. 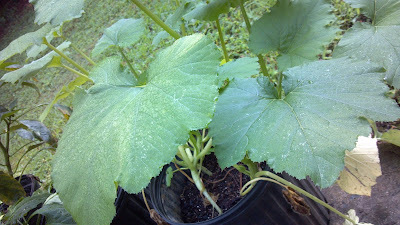 Alas, these are not my personal plants but your learning material and some of you are organic fanatics. I hope you are not like the vegetarians who take supplements to make up for the nutrients they have eliminated from their diets. Or the suburbanites who throw fits about non-organic food but have their lawns chemically treated to prevent weeds. I really, really hope you are not one of those because we are about to use the grass clippings -FREE! 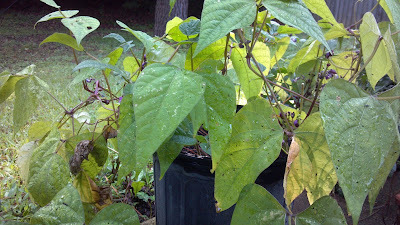 - to add some nitrogen and phosphorus to our hungry plants. If you are one of them, go buy the Ironite and quit being such a hippocrit. 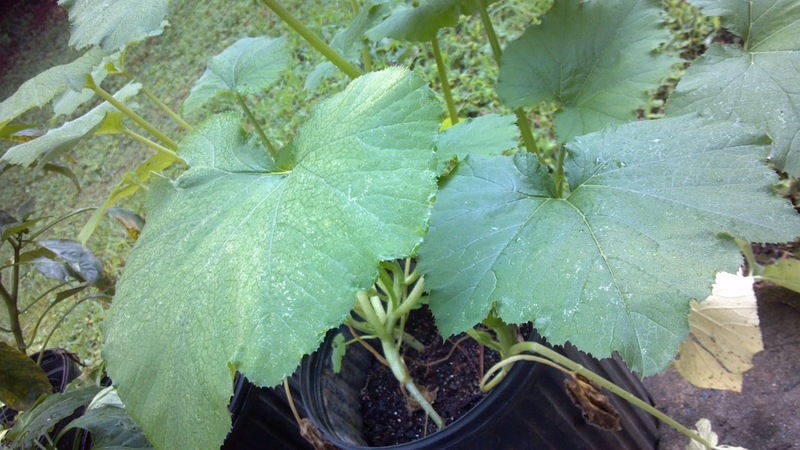 Squash plant. I'll post a better pic in a few minutes. 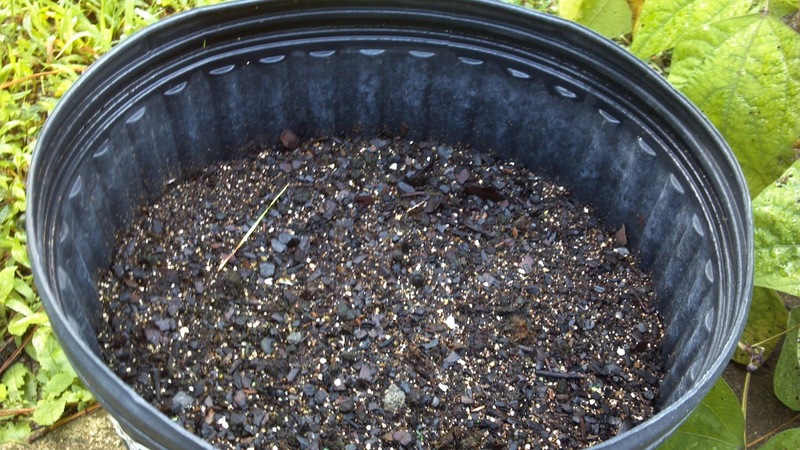 Pack the top of the container with grass clippings but be careful not to pack the soil. 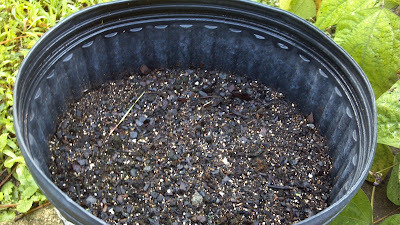 The soil should have settled by now and there is room on top for the clippings. Keep a few in a pile nearby so when these settle you can top them again with more. Grass clippings are great fertilizer. The first time I mulched around the lettuce bed with them, the lettuces down the sides were twice as big as those in the middle. Wish I had a picture of THAT to post. That makes my blog post useful enough to be finished. Hope to see you soon!